Volume 94 was released in 1994 on CD only. 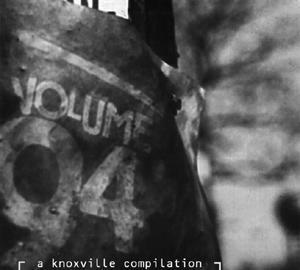 It is a compilation of East Tennessee artists, most from the Knoxville area. It contains a vast array of musical styles. This album has the first-ever recorded release from SUPERDRAG, who eventually was signed by a major label and found their way to MTV. The song “Bloody Hell” was re-recorded and released on their first album. Perhaps more notable is the acoustic song “End it Right Here” by Kirk Heinson. Early one morning, Kirk saw an ad asking for bands who would like to be on the compilation and called me at 7:30 a.m. after a full night of recording sessions. I told him, “Great, send me a tape, and we would be happy to listen to it.” Kirk’s answer was was, “I don’t have a tape. Could I just come over and play a song for you?” I answered,”Sure, give me a call around 12 and well set something up.” Thankfully, Kirk was very persistent. “I’m just down the street right now, could I come on over?” he asked. My head fuzzy with lack of sleep, I said,”Sure, that would be fine.” Kirk came. He played. It was beautiful. He is a novel on his own. That song was recorded for the album the next day. Kirk couldn’t afford the studio time. I set it up so he could pay with moonshine cherries or “cherry bombs”.